Mysms is the only service we've tested that works on iPhones and Windows Phones in addition to Android devices. It does require that you install an app on your handset to use it, but its desktop component is not solely browser-based. Mysms is the only program we tested that's available in a desktop client that you can download and run locally on your PC. That's why mysms looks good on paper. But it leaves something to be desired when you actually use it. If you're using an Android phone, mysms displays recent text messages in a column on the left side of the screen; clicking on one brings up your message history with that person, displayed in a larger column to the right. To use mysms, you first install the app on your phone. Once set up, it sends you a text message with a PIN. You enter that PIN in whatever version of the application you'd like to use on your computer: The desktop version (available for Windows and Mac) or the Web app, which runs inside a browser. Mysms also is available for tablets running Android or iOS. The Windows application and the Web app feature nearly identical interfaces, but the experience of using mysms varies greatly depending on what kind of phone you're using. I tested mysms on an iPhone and an Android phone. We did not have a Windows phone available for testing, but the company says that many of the restrictions set on the iPhone by Apple's limitations also exist for Windows Phone users. If you're using an iPhone, Apple does not allow mysms to access your text messages, so you're restricted to texting other mysms users. If no one you know is using the application, you're out of luck. But if you can recruit a few friends to use the service, you'll be able to exchange messages for free—and they don't have to use the same type of phone as you. If you're using an Android phone, mysms can do a lot more. You'll see your recent text messages in a column on the left side of the screen, organized by the phone number or contact name. Clicking on one of these brings up your message history with that person, displayed in a larger column to the right. You can compose a message at the top of the screen, and can choose to send it via mysms (which requires the recipient to use the app) or your mobile carrier. Additionally, mysms lets you use a service called mysms out, where you can purchase credits for sending texts to users who don't use mysms. 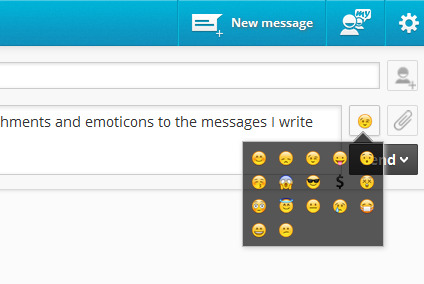 Mysms makes it easy to add add attachments and emoticons to the messages you compose. The look of mysms is appealing and the program has benefits for both Android and iPhone users, especially when you consider that you can choose between the downloadable desktop app and the Web app. I also like how mysms syncs any messages you send on your PC with the mobile app. But iPhone users without any mysms-using friends will find it hamstrung by Apple's limitations. MySMS offers free tools for messaging other mySMS users, but its functionality beyond that is a bit limited.